When one of my parents went down with some problems last year, some monetary problems happen. 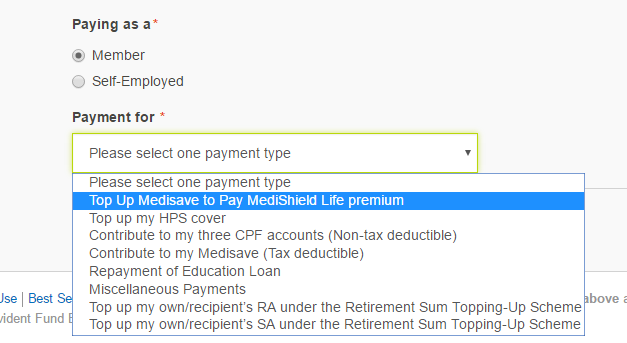 The CPF Medisave was depleted, till the point that the account cannot fund the Medishield Life annual premium. This becomes a problem to continue treatment as it may jack up some of the hospitalization costs without the health insurance. That is when I dove in to study more about how we can go about paying the Medishield Life with my CPF and whether I can get some incentives in the process. In this way, while I eventually pay for the premiums, I gain some tax advantages. Both problems can be solved, but it is not so straight forward. 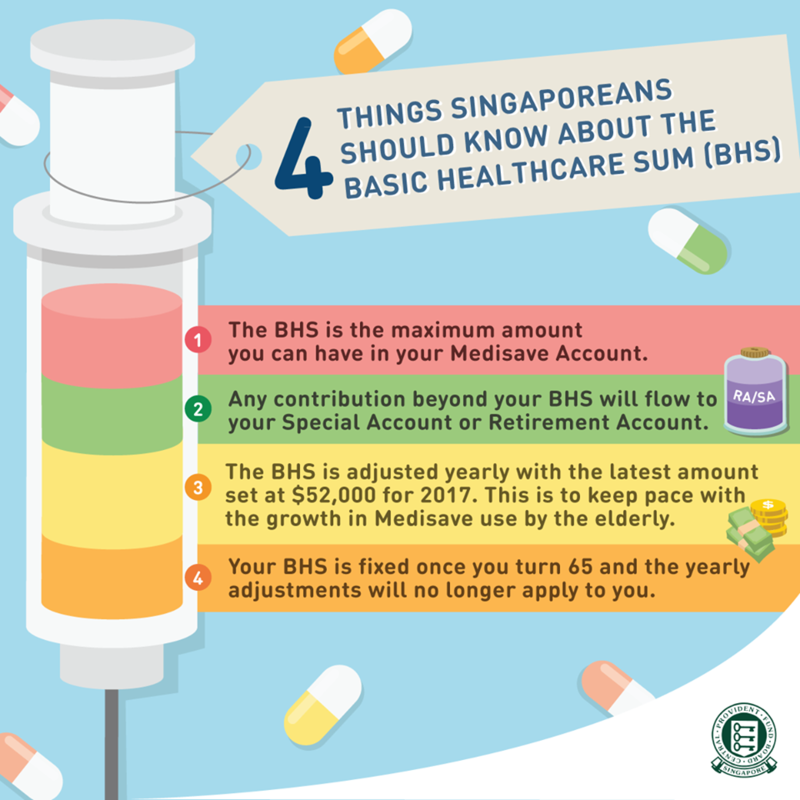 The Medishield Life is the most basic health insurance that in late 2015, became compulsory for all Singaporeans to be insured. You pay an insurance premium yearly. The health insurance’s purpose is to reduce the impact of large inpatient and outpatient medical bills. What this means is that if your hospital bill, after government subsidies, come up to $100,000, you hope the health insurance enables you to pay only a small % of the bill. If your hospital bill comes up to $3,000, you pay a large % if not all of it. Thus, if the health insurance works well, it reduces the monetary anxiety brought about by large hospital bills, while getting you to pay the smaller hospital bills. Without a health insurance, you will end up having to foot the hospital bill after subsidies. Medishield Life will offset your medical bills, in excess of the deductible and 10% co-payment. For example, if you have 3 consecutive treatment where the net cost after subsidies is $900, $800, $700, while each of these sum is less than the deductible of $2000, part of your last bill will see the effects of Medishield Life, as the board will aggregate your bills to derive how much you can claim. This is good because if they do not aggregate, many small hospitalization or outpatient treatment would have rendered the Medishield Life rather ineffective. When your parents approaches retirement, or are more than 65 years old, the incidence where they will need inpatient and outpatient treatment increases. Without the insurance, you may end up paying recurring large hospital bills. Your Medishield Life, or a private shield plan can be funded by your CPF Medisave account, up to a certain point. I will not go deep into what I meant by “up to a certain point”. As a summary, your private shield plan such as Prushield, MyShield, Income Shield provides additional coverage on top of Medishield Life. Think of them as an enhancement to a basic plan. CPF however, limits how much premiums you can service the premiums of these private component of the integrated health plan. This limit is called AWL. 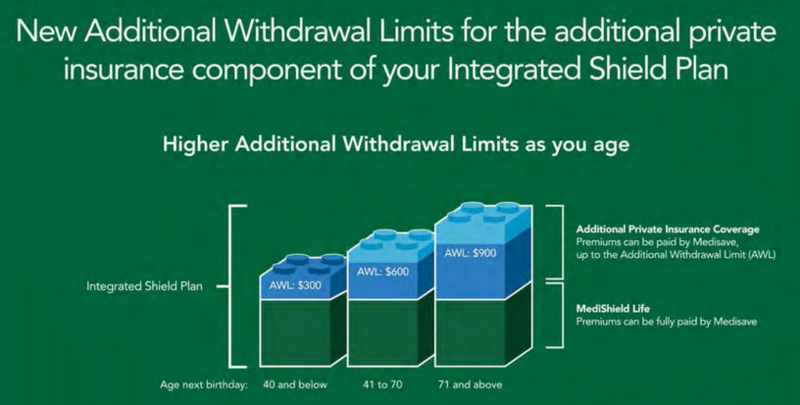 You will need to use cash to pay for the premiums if you exceed the AWL. The important thing to note is that, your CPF Medisave is a forced saving account to facilitate you to pay for your health insurance premiums, and medical costs. #3 is what we would like to explore here. From the previous section, to pay for their Medishield Life, they will have to top up their CPF Medisave. NETS at any SingPost branch with the MediShield Life top-up form , or at any SAM. All these methods are a cash top up by your parents. However, there is an alternative….. Which is to request one of your parent’s immediate family members (e.g. spouse, parent, child or grandchild) to use his/her CPF Medisave savings to help pay for the Medishield Life premium. What this means is that you, the child can help them pay for their Medishield Life premium with your CPF Medisave. To do so, your family member can submit an application through my cpf Online Services – My Requests using SingPass or fill up the Change of Payer for MediShield Life Form and mail it to the CPF Board. Once the application is processed, the new payer will take over paying the premium payment from the next policy year. So you can set up to pay your parent’s Medishield Life, using your CPF Medisave, and then have the chance to top up your CPF Medisave. One big upside is that you can enjoy tax reliefs. We all need to pay income tax for the income earned last year. You can refer to this page for more information. Depending on your privileges, circumstances, your taxable income can be reduced by your tax reliefs so that the eventual tax expense for you is less. It is a bigger advantage if you manage to step down from one tax bracket (e.g. 11.5%) to a lower one (e.g. 7%). For example, if you earn $80,000 and you have zero tax relief, the annual tax you pay is $3,350. However, if have a $7,000 tax relief, your taxable income is $73,000. The annual tax you pay is $2,860 or $490 less. You are eligible for tax reliefs when you make a voluntary contribution to your Medisave Account on top of the compulsory CPF savings. You may claim a relief for any income earned in the year in which your voluntary Medisave contributions were made. There is a maximum limit of $80,000 in total tax relief that an individual can claim annually. Prevailing Basic Healthcare Sum of $52,000 (the current amount) less the balance in Medisave Account prior to your voluntary contribution. #1 means that you can only get relief for the amount you top up. If you top up $2,000, you will only get the relief of that amount. #2 what is Annual CPF cap less the mandatory contribution by you and your employer? To understand this, there is an Annual CPF Limit that the government limit how much your employers, yourself through your job, and you voluntarily can put into CPF. #2 means that suppose you earned $80,000/yr, so that means you contribute $29,600 (because $80k x 37%) into your CPF. You have not breached the $37,740 limit, which means you can still voluntary put in $8,140 for the year if you want. Note: this would mean that if you are a high income earner, if you wish to top up your own CPF SA to the limit of $7,000, you may run into a problem. #3 means that CPF Medisave have a limit as well, which is the Basic Healthcare Sum, and currently it is $52,000 (subject to change). If you currently have $51,200 in your Medisave, then you can only voluntarily contribute $800 more. One of the options is to Contribute to my Medisave (Tax deductible). This looks the most right option. There is a Top up Medisave to Pay MediShield Life premium. I am not sure if this will allow us to enjoy tax relief (because it is not explicitly stated. You will be able to specify how much you wish to top up your CPF Medisave with cash. Note that there is a Check Allowable Contribution button, which lets you check how much of a shortfall from the Medisave Contribution Ceiling you can top up. In my case, I have hit the CPF Medisave Ceiling, it is only because of the ceiling expansion that I could top up. And I only have a small window, because a 4% interest on my $49,740 is $1,990, which will almost reach the ceiling. Once you top up, then its done! Its a 2 Step Process. I always thought we could top up our parents, or our spouse’s Medisave. But when I went through the ordeal myself, I find its real difficult that I thought this option isn’t present at all. How much Tax Relief can you realistically enjoy from CPF Medisave Top Up? 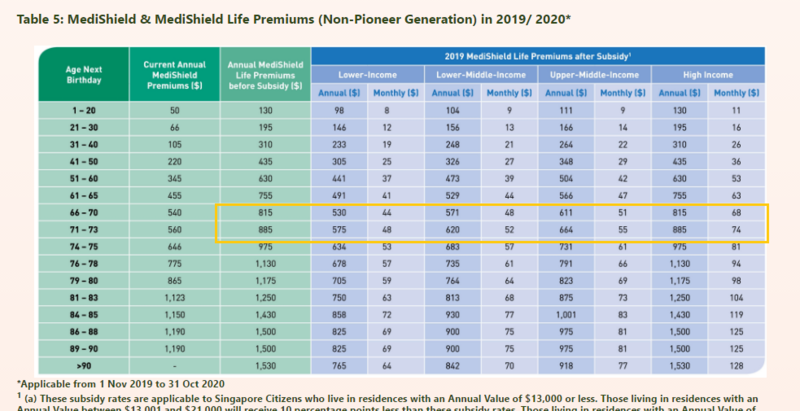 Even today, with Pioneer generation subsidy, the annual premiums is nearly $500 per person. Government gave top up but that is not enough. Due to some hath complications, their Medisave have been wiped cleaned. The table above is the premium table for Medishield Life. If we aim to replenish the amount we spent to pay for our parent’s Medishield Life, then it will be the premium amount we pay. If we take the example of my parents, if I help the 2 of them to top up without government subsidies for Medishield Life, then it could come up to a relief of $1,700. That does not look like a lot, but its better than nothing. tax relief needs to be considered as an aggregate to see how much it will step down your taxable income. One very visible flaw is that, if your CPF Medisave reaches the Basic Healthcare Sum (BHS), and that more interest adds to your Medisave, and the ceiling doesn’t get raised, you cannot consistently pay for your parent’s Medishield Life premiums and enjoy tax relief. This method will only work when the premium payments for your parent’s Medishield Life takes place, then you immediately go and top up. I was trying to figure out online how to top up Parents Medisave as it seems quite a number of people has done it before. As you said however, the CPF e-cashier does not provide this option to top up to recepient’s Medisave. Finally gave CPFB a call today and ti seems that the trick is to go to e-cashier directly (i googled search CPF e-cashier) and fill in the Payer’s NRIC with your parent NRIC(do NOT log in with your own NRIC). Then select ‘Top up My Medisave’. E-cashier will then bring you to the bank account page to top up. In this way, you can top up your parent’s Medisave directly. Tax relief if applicable can be gained by your parent since it’s considered as they top up their own Medisave. Just did it today. 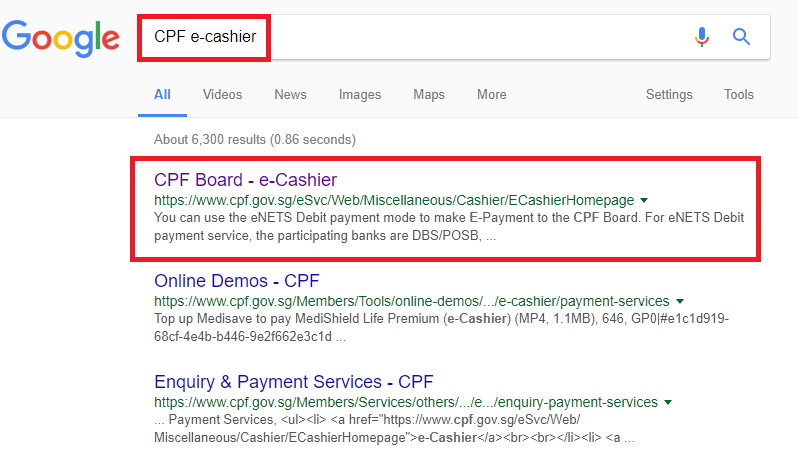 If we google CPF e-Cashier, we really get the direct link. So instead of putting your NRIC, you put your parent’s NRIC. Then select Contribute to my Medisave (Tax deductible). If this works, its more straight forward! The saving grace is that getting tax relief from CPF Top up is Fungible. You get the same tax relief, it is just that there are caps to them. If you are not actively topping up, if you failed to gain a tax relief by topping up to your CPF Medisave, you can top up the same amount to your parent’s CPF Retirement account to enjoy the same tax relief. You could also top up to your own CPF SA the same amount you use to pay your parents’ Medishield Life premium to enjoy the tax relief. If you understand this, it means that you do not need to follow my 2 step process. You could pay the premiums for your parents and top up your own CPF SA. 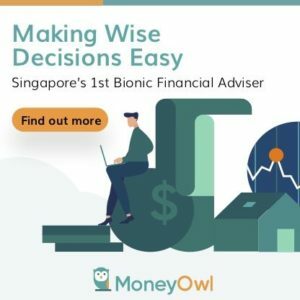 However, if you are the crazy folks who top up the maximum $7,000 to your CPF SA, and then $7,000 to your parents CPF Retirement Account, to gain additional tax relief, you need to do my 2 step process. One thing to note is that, CPF Medisave is a forced health savings the government made us carry out. The only use is for health related functions. It is a known thing that as we grow older, we will need it for our healthcare needs. However, there is no other way you could extract money out of Medisave currently, other than for compassionate reasons. CPF Medisave will be a bequest to the people you put on your CPF nomination. This means the other way is for your kins to inherit the money. Due to that, some of the wealth optimizer out there might want to only replenish what you use to pay for your parent’s Medishield Life systematically instead of generously contributing to it. Then again, once your contribution into CPF Medisave hits the Basic Healthcare Sum (currently $52,000), the rest of the interest will flow to your CPF SA account, which goes to your retirement. You have to evaluate if you are fine with that happening. Have you successfully done all three within a single year? i.e. 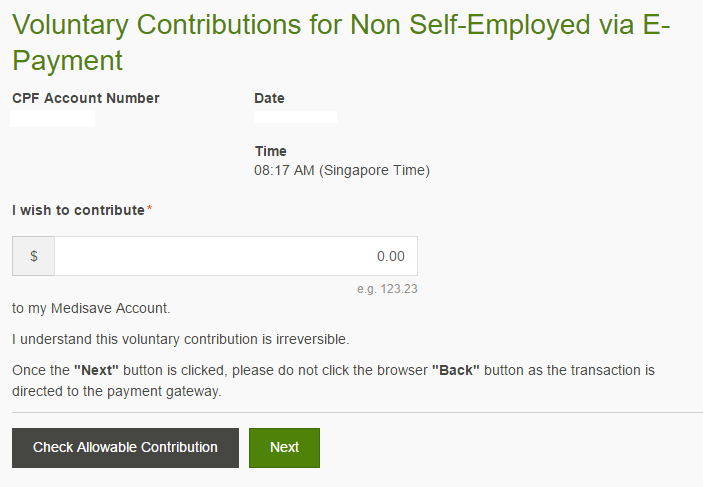 I believe if you do a direct voluntary contribution into you medisave account of $1,000, you can contribute more than $37,470 into your CPF for the year. (The assumption is you have not maxed out your medisave account). Your contribution for the year will be $37,740 + $1,000. However, there is no tax relief for the $1,000. But, if you are happy with 2.5% and want to put more money into your CPF, this could be a way to do it. I believe this is how it works for an employed person. Hi K, good thoughts, and i realize that. but i think you can only limit to $37,470 per year. if not, there will be selective group of people who put more than their fair share to earn that interest. Hi, I think I got more confused after reading. Are you referring to the Retirement Sum Top Up Scheme? The CPF Annual Limit is the maximum amount of mandatory and voluntary contributions to all three CPF Accounts that a CPF member can receive in a calendar year. The current CPF Annual Limit is $37,740. If you are a high earner, you may possibly reach close to the $37,740 CPF Annual Limit. Thus if you wish to contribute $7000 to claim tax relief deduction. you might have an issue. Do you have a different idea? My impression is that RSTU is not subject by the CPF Annual Limit. I can verify with CPF further on this. This article seems to agree that the RSTU is not seen as a voluntary contribution. You can try to verify, but I have let the CPF folks see this and they raise many “red flags” just not this. The idea is.. suppose you make 6k and have many months of bonus, such that you fulfill the 17 months, could CPF allow you to top up 7k on top of the 37k? That is the question. I have checked with CPF CSO. I reproduce the reply here. $30,000 as at June 2017. It is estimated that I will reach the CPF Annual Limit ($37,740) at the end of 2017. My special account has $80,000. Would I be able to use cash top up of $7,000 into my SA (RSTU) in June 2017? Would it be subject to tax relief? Current Full Retirement Sum ($166,000 for 2017) less the sum of SA savings and net SA savings withdrawn under CPF Investment Scheme for investments that have not been fully disposed of. You can enjoy tax relief of up to $7,000 per calendar year if you make cash top-ups for yourself, and additional tax relief of up to $7,000 per calendar year if you making cash top-ups for your parents, parents-in-law, grandparents, grandparents-in-law, spouse and siblings. I guess RSTU is not subject to CPF Annual Limit? Thanks for the detailed article. I can verify that you can top up RSTU even if one has hit the Annual Limit, as long as SA is below FRS. Up to $7k tax relief per year. I was trying to figure out online how to top up Parents Medisave as it seems quite a number of people has done it before. As you said however, the CPF e-cashier does not provide this option to top up to recepient’s Medisave. 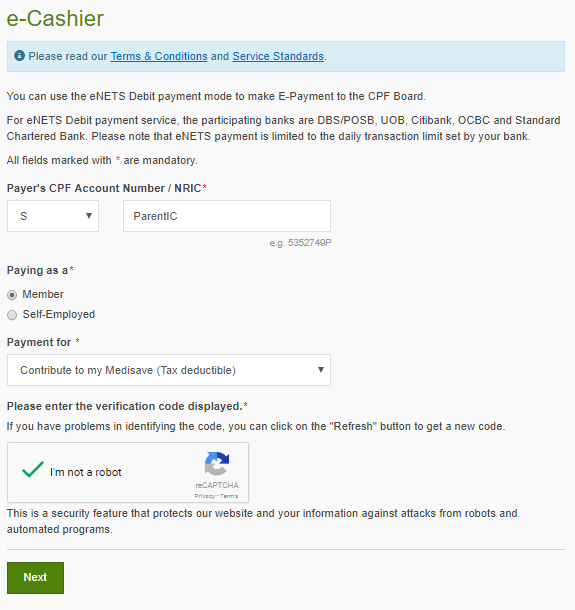 Finally gave CPFB a call today and ti seems that the trick is to go to e-cashier directly (i googled search CPF e-cashier) and fill in the Payer’s NRIC with your parent (do NOT log in with your own NRIC). Then select ‘Top up My Medisave’. E-cashier will then bring you to the bank account page to top up. Hi JDH, thanks for sharing this method. Looks like I should update the article. its good to know the altnerative method but its not that straight forward. Can you confirm that the top up method, allows deduction on your taxes? Yes for the parent, subjected to the usual conditions for VC to Medisave. It’s fairly straightforward actually. Basically, it’s logging in with your parent NRIC and topping up to their medisave with cash. It will be the same as if your parent log in themselves and top up their medisave. CPF doesn’t care whose bank account the cash comes from. Any tax relief (subjected to the usual conditions less than BHS etc) will hence go the parent as it’s in effect the same as the parent topping up their own Medisave. Thanks for the article and information. This is the same as me handing over cash to my parents cash for them to top up their own CPF account. Any tax reliefs will go to my parent. It’s simply that. The key question is, how do I top up my parent’s CPF using my cash and for the tax relief to be enjoyed by me. I don’t think this can be done? Separately, I’m paying for my parent’s Medisave Life premiums using my Medisave. Any idea if I get any tax reliefs for this? HI OTS, you are getting tax relief by sequence the payment for your parent first. After that there is a gap in your own CPF, then you do a voluntary contribution.